Three years before the Stonewall Riots lit the flame of the LGBTQ+ Movement, the Compton’s Cafeteria Riot of 1966 poured the lighter fluid on the pavement. 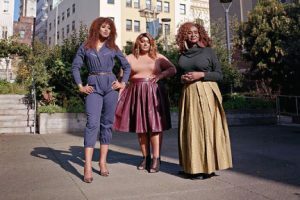 As recounted in author Susan Stryker’s 2005 documentary, Screaming Queens, the San Francisco uprising began after years of police profiling and harassment when a fed-up drag queen threw a hot cup of coffee in a police officer’s face. Brian Basinger, executive director of Q Foundation, a nonprofit in the neighborhood that focuses on preventing homelessness for people living with HIV/AIDS, initially filed a negative declaration in opposition to the developer’s assessment that “there was no historical value to that neighborhood, that the neighborhood was just filled with substance users and poor people, and that there’s no actual historical value within the block,” recalls Aria Sa’id, LGBT policy advisor for San Francisco Human Rights Commission.